Olivia-Dawn, or Ipo (“sweetheart”) is a deep sea diver. During the first 20 days of her migration to the French Frigate Shoals, she averaged 16 dives per night—one of them 135 meters deep! Kaheka (“tidepool”) is the youngest basker at Laniakea. After veterinarians de-hooked and disentangled him from fishing gear, they released him on Oʻahu’s windward side. In less than a week, he had swum back around the island, to the tidepools at Laniakea. 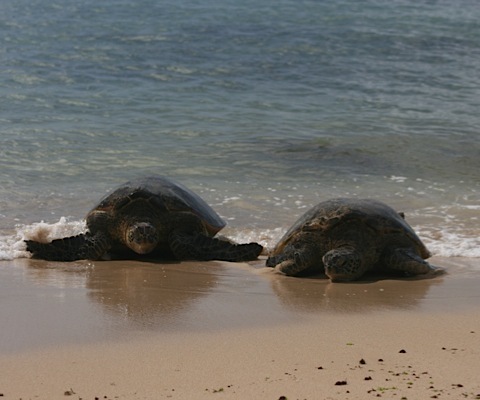 How can you tell these and the other 20-some honu at Laniakea apart? With the Honu ID book—there’s a copy in the volunteer beach bag to learn from. And every volunteer who logs in 100 hours gets their own personal copy. When you come to the North Shore, you might meet Brutus or Hiwahiwa or Olivia Dawn. They’re honu, Hawaiian green sea turtles, and one of them is usually basking on the sands at Laniakea Beach, Oʻahu. The volunteers of Malama Na Honu have made it their mission to protect these threatened (meaning “likely to become endangered”) sea creatures, educating viewers on how to respect and protect them. 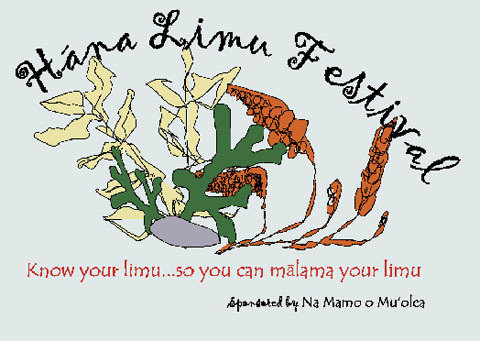 This Saturday’s Limu Festival location has changed to Hana Bay (Kapueokahi) … Hope to see you there! This month at Kapahu Living Farm, there’s plenty of kalo (taro) needing to be harvested and processed into poi for the Kipahulu community. Poi is a nutritious staple food of the Hawaiian people, and learning about it is one of the best ways to understand Hawaiian culture, talking story with local families while you work. 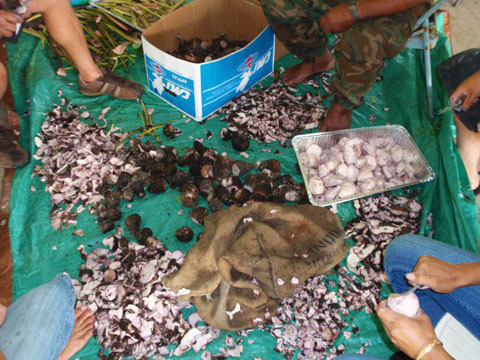 Volunteers will learn about harvesting kalo; cleaning, cooking, and preparing it; and grinding it into poi. And since it’s a full moon this weekend, there’ll likely be some kalo planting to do. 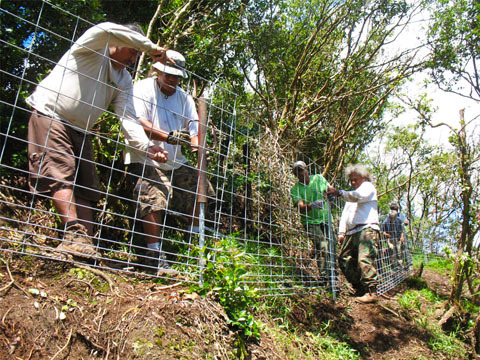 In the native forests above Kipahulu, Maui, feral animals are threatening to destroy the ecosystem … Join the Living Farm this Saturday, October 16, to help them finish installation of a feral animal control fence. Fencing is strenuous work, and accessing the work site will take a good hike. 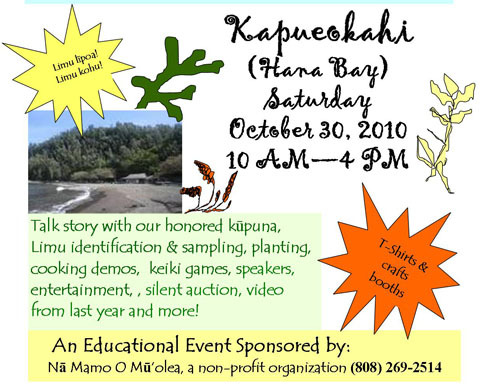 But it’s a great way to learn about the farm’s ahupuaʻa/watershed management activities, meet other dedicated volunteers from the community, and help protect the forest and the source of fresh water for Kipahulu. 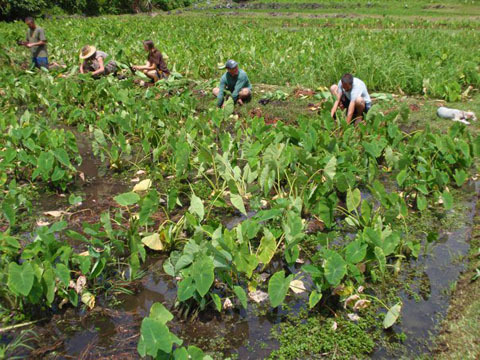 In Maui’s fertile Kipahulu Valley, on the island’s jungled east side, the ancient Hawaiian practice of taro cultivation is thriving at Kapahu Living Farm. 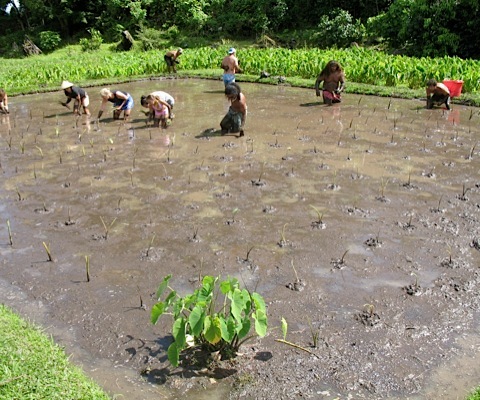 Volunteering with the Living Farm means rolling up your sleeves (and your pant legs) and getting into the mud of the loʻi (taro patch), where you’ll work beside farmers whose families have lived here for generations. 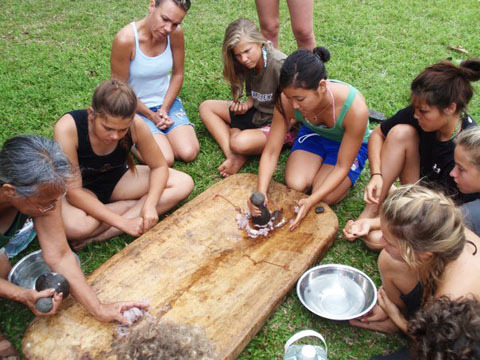 The farm prefers groups for volunteer projects, and accepts individuals (minimum 2 people) for their interpretive hikes, which take you from the Kipahulu area of Haleakala National Park up through the Living Farm for education in this ancient Hawaiian tradition. Dogs and cats have been bred to be good companions. 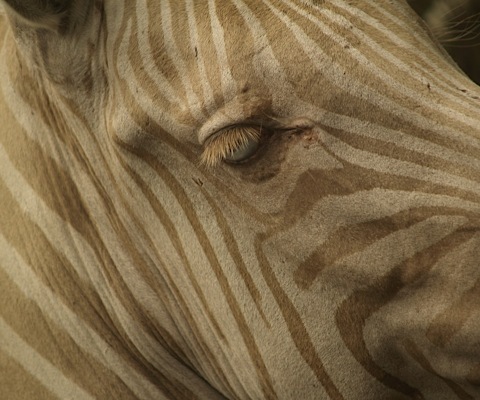 Living with a zebra isn’t quite so easy, nor a cheetah—once it grows past that cute, cuddly kitten stage … The exotic animal trade is rampant, even here in Hawaiʻi. And when pets become too large, or too unmanageable, their owners are often desperate to give them away. 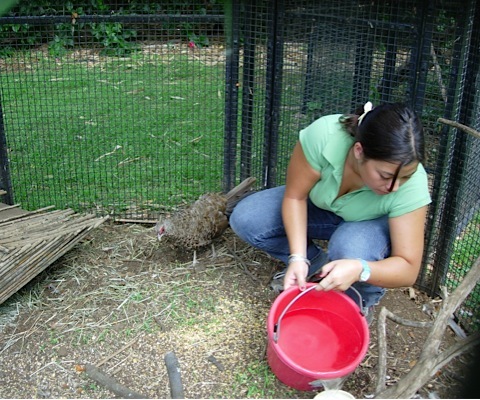 If you know of an exotic animal living illegally in the islands, Three Ring Ranch in Kona (Big Island) is a no-questions-asked amnesty center—you can drop off the animal anonymously, and the ranch will find it a good home, or adopt it into their animal enrichment program.